Semantic publishing on the Web, or semantic web publishing, refers to publishing information on the web as documents accompanied by semantic markup. Semantic publication provides a way for computers to understand the structure and even the meaning of the published information, making information search and data integration more efficient. Although semantic publishing is not specific to the Web, it has been driven by the rising of the semantic web. In the semantic web, published information is accompanied by metadata describing the information, providing a "semantic" context. Although semantic publishing has the potential to change the face of web publishing, acceptance depends on the emergence of compelling applications. Web sites can already be built with all contents in both HTML format and semantic format. RSS1.0, uses RDF (a semantic web standard) format, although it has become less popular than RSS2.0 and Atom. Semantic publishing has the potential to revolutionize scientific publishing. Tim Berners-Lee predicted in 2001 that the semantic web "will likely profoundly change the very nature of how scientific knowledge is produced and shared, in ways that we can now barely imagine". Revisiting the semantic web in 2006, he and his colleagues believed the semantic web "could bring about a revolution in how, for example, scientific content is managed throughout its life cycle". 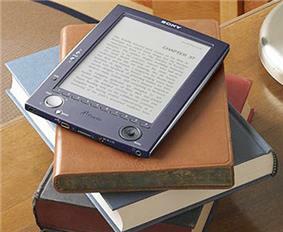 Researchers could directly self-publish their experiment data in "semantic" format on the web. Semantic search engines could then make these data widely available. The W3C interest group in healthcare and life sciences is exploring this idea. Publish information as data objects using semantic web languages like RDF and OWL. Ontology is usually developed for a specific information domain, which can formally represent the data in its domain. Semantic publishing of more general information like product information, news, and job openings uses so-called shallow ontology. The SWEO Linking Open Data Project maintains a list of data sources that follow this approach as well as a list of Semantic Publishing Tools. Embed formal metadata in documents using new markup languages like RDFa and Microformats. Ambra Project is open source software designed to publish open access journals with RDF. Used by PLoS. Semantic MediaWiki: An extension to the wiki application MediaWiki that allows users to semantically annotate data on the wiki, and then publish it in formats such as RDF XML. D2R Server: Tool for publishing relational databases on the Semantic Web as Linked Data and SPARQL endpoints. ^ Batchelor, C.R., and Corbett, P.T. (2007) Semantic enrichment of journal articles using chemical named entity recognition. Proceedings of the ACL 2007 Demo and Poster Sessions, pages 45–48, Prague, June 2007. ^ Shotton, D. (2009). "Semantic publishing: The coming revolution in scientific journal publishing". Learned Publishing 22 (2): 85–94. ^ Shotton, D.; Portwin, K.; Klyne, G.; Miles, A. (2009). Bourne, Philip E, ed. "Adventures in Semantic Publishing: Exemplar Semantic Enhancements of a Research Article". PLoS Computational Biology 5 (4): e1000361. ^ Berners-Lee, T.; Hendler, J. (2001). 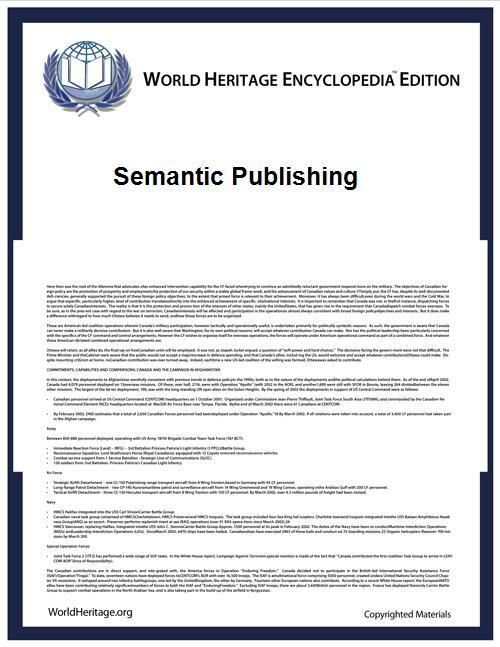 "Publishing on the semantic web". Nature 410 (6832): 1023–1024. ^ Shadbolt, Nigel; Berners-Lee, Tim; Hall, Wendy (May–June 2006). "The Semantic Web Revisited" (PDF). IEEE Intelligent Systems 21 (3). pp. 96–101. ^ a b Web2express.org applies RDF to various data feeds. Anyone can use their service free online service (ufeed) to create and provide RDF data resources and datafeeds for products, news, events, jobs and studies. ^ self-publishing of experiment A demo is available.